There are many window companies that offer energy saving windows. However, at Valley Siding & Windows, we believe every window should be an energy saving window. Whether you order our most basic window package or choose to customize every facet of your window replacement, rest assured your windows will be energy star certified and improve your home's energy efficiency. Valley Siding & Windows places the utmost importance on producing energy efficient windows. From our most basic window packages through to our most unique, custom windows, we guarantee that every Valley Siding & Windows window is energy star certified and will save you on your energy bills. We offer a range of glass packages, so no matter where you live, you’ll get custom windows that are ideally suited to your climate. 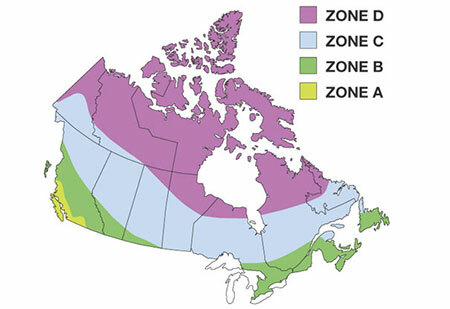 Energy Star has rated all our windows safe for Zone C or D (for Northern Ontario and the Arctic) ensuring they perform well even in extremely cold climates. Choose double glaze for standard energy efficient windows, or triple glaze windows for even less heat transfer. Many of our competitors don’t offer Triple glaze windows, and when they do, they are often outrageously priced. At Valley Siding & Windows, we’re committed to ensuring you get the energy efficient windows you need at a reasonable price. Valley Siding & Windows offers three different glass coatings to reduce heat transfer. Choose one, or mix and match coatings depending on the direction each window faces for the most energy efficient windows possible. Choose from our 180 coating, 272 coating or 366 coating. Choose from Argon or Krypton gas filled panes for even more insulated windows. For maximum protection against heat transfer, consider our foam filled frames. Foam filling your window frame reduces heat loss through the vinyl frame and makes for 8% more energy efficient windows.